Premium Reimbursement Arrangements, also called health reimbursement arrangements, are gaining popularity with small and medium-sized businesses because they offer a more affordable way to offer health benefits. By reimbursing employees for individual health insurance premiums instead of contributing to a group health insurance plan, the business saves 20% to 60% on healthcare costs. What is a Premium Reimbursement Arrangement? A Premium Reimbursement Arrangement is an agreement for an employer to reimburse employees for their individual health insurance premium expenses. The concept is simple. With a Premium Reimbursement Arrangement, the business offers employees a monthly healthcare allowance to use on individual health insurance – instead of contributing to a group health insurance plan. This type of health insurance alternative is taking off because individual health insurance is now better, and less expensive, than group health insurance. Premium Reimbursement Arrangements give employers, and employees, all the advantages of health benefits without the cost or complication of group health insurance. The sections outlined on our navigation bar provide more information about Premium Reimbursement Arrangements. 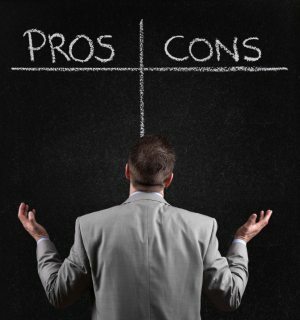 Companies evaluating Premium Reimbursement Arrangements should consider these pros and cons. The pros and cons are broken down between the two main types of arrangements, as each has unique advantages and disadvantages. With a tax-preferred Premium Reimbursement Arrangement, all similarly situated employees are granted a fixed allowance amount to purchase individual health insurance, but only receive money if they actually purchase health insurance. Employees purchase their own individual health insurance policy and submit proof to their employer (or the employer's third-party provider). Employees receive monthly reimbursements up to their allowance amount, added to their paycheck tax-free. * A tax-preferred Premium Reimbursement Arrangement is a group health plan, and is subject to compliance with IRS, ERISA, HIPAA, ACA Market Reforms, and other applicable rules. To make sure your arrangement is compliant, and to make compliance easy, use a Reimbursement Software Provider. Tip: With this type of Premium Reimbursement Arrangement, the business only reimburses employees for eligible premium expenses, up to the amount of their allowance. With no annual renewal increases, no minimum contribution amounts, and no minimum participation requirements, the business is free to set and control all costs. With a health insurance stipend, all similarly situated employees receive a fixed, taxable stipend to purchase individual health insurance, whether or not they actually purchase health insurance. The employee's monthly contributions are typically added to his or her paycheck. At the end of the year, employees receive a form showing the amount of their stipend that they should report as income on their personal income tax return. A Premium Reimbursement Arrangement is an agreement for an employer to reimburse employees for their individual health insurance premium expenses. This section discusses different types of Premium Reimbursement Arrangements and why they work. There are two main types of Premium Reimbursement Arrangements. Tax-Preferred Premium Reimbursement Arrangement:The most common type of Premium Reimbursement Arrangement is a tax-preferred plan. With this approach, employers use a Section 105 Medical Reimbursement Plan to reimburse employees for their substantiated individual health insurance costs on a pre-tax basis. This type of plan is sometimes called a Healthcare Reimbursement Plan (HRP). Taxable Health Insurance Stipend:Employers may also set up a taxable Premium Reimbursement Arrangement. With this approach, employees are provided a monthly taxable stipend to purchase individual health insurance, and do not show proof as to whether or not they actually purchase health insurance. Tip: In this guide, we are focusing on tax-preferred Premium Reimbursement Arrangements. Premium Reimbursement Arrangements are gaining widespread adoption because individual health insurance is now better, and less expensive, than group health insurance. Premium Reimbursement allows employers to offer better health benefits at a lower cost. Pick the plan that best fits their needs, including the doctors, for about half the cost of an equivalent group plan. Keep their individual health insurance policy for as long as they want, completely independent of employment. Receive access to the federal premium tax credits. Families are eligible who earn less than $100,000 per year (or a single person earning less than $45,000 per year). Reimbursements can be tax-deductible to the employer, and employees can receive reimbursements tax-free. In the next section, we’ll discuss more pros and cons of Premium Reimbursement Arrangements. A tax-preferred Premium Reimbursement Arrangement is a Section 105 group health plan. As such, it is subject to compliance with IRS, ERISA, HIPAA, ACA Market Reforms, and other applicable rules. Designing a Premium Reimbursement Arrangement is easy. These three questions will help you customize a plan that achieves your employee health benefit goals, and meets your budget. Your company will decide when your Premium Reimbursement Arrangement will start. For example, you could provide $300/month to Senior Programmers and $150/month to Administrative staff. Following this example, you could add a layer of family status allowances. For the Senior Programmers you could provide $300/month to single participants, $350/month to married participants, and $400/month to married with children participants. What criteria makes employees eligible to participate in the Premium Reimbursement Arrangement? For example, do they need to work a certain amount of hours weekly, have a certain job title, or be employed for a certain number of days? (Note: the maximum waiting period is 90 days). These criteria will set employee eligibility for the Premium Reimbursement Arrangement. This section summarizes the key compliance rules when reimbursing employees tax-free for individual health insurance though a Premium Reimbursement Arrangement. Self-insured medical reimbursement plans are employee welfare plans under ERISA. ERISA requires every (welfare) plan to have a Summary Plan Description (SPD) and to furnish copies to each participant. The SPD is the primary vehicle for informing participants and beneficiaries about their rights and benefits under their employee benefit plans. The employer must not endorse specific individual health insurance policies or pay directly for them. The employer should not get involved in the purchase or selection of employee’s individual health insurance policies. Self-insured medical reimbursement plans are governed by HIPAA Privacy Rules. In order to administer the reimbursement plan correctly, the entity processing employee reimbursement claims receives Protected Health Information (PHI) that is required to be held confidentially under HIPAA. In order to comply with HIPAA, an employer should contract with a third-party processor (such as a premium reimbursement software provider) to review all reimbursement requests so the employer does not come in regular contact with PHI. Lastly, self-insured medical reimbursement plans with 20 or more participants are subject to COBRA. Employers must give terminated employees the option to continue their participation in the reimbursement plan for a period after termination, and may charge an employee up to 102% of the value of their allowance if COBRA is elected. This section outlines how to set up and implement a Premium Reimbursement Arrangement. There are three simple steps to set up a Premium Reimbursement Arrangement. First, cancel the group health insurance plan (if one is offered). Most plans can be canceled at any time. When a plan is canceled, all those covered will be eligible for a special enrollment period for individual health insurance. This means employees are eligible to purchase individual health insurance outside of the annual open enrollment period (ex: November 15, 2014 to February 15, 2015). Eligible employees will also be able to access premium tax credits. To set up a Premium Reimbursement Arrangement, first decide how much the business will contribute to employees’ health insurance expenses. Businesses can provide the same contribution amount (“allowance”) to all employees, or offer a different allowance amount by class of employee and/or family status. 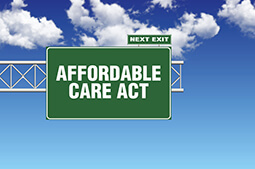 Taxable Health Care Allowance - With this approach, the business provides a taxable health insurance stipend. Tax-free Premium Reimbursement Arrangement - With this approach, the business uses a Section 105 Medical Reimbursement Plan to reimburse employees for their substantiated individual health insurance costs on a pre-tax basis. This type of plan is sometimes called a Healthcare Reimbursement Plan (HRP). Next, educate employees about how individual health insurance and premium reimbursement works, and how it benefits employees and their families. Lastly, employees purchase individual health insurance policies with their own money and submit a reimbursement request. The business reimburses employees on payroll. With a tax-preferred Premium Reimbursement Arrangement, the business only reimburses employees for eligible premium expenses, up to the amount of their healthcare allowance. Without annual renewal increases or minimum contribution amounts, the business is free to set and control all costs. Premium Reimbursement Arrangements are an alternative to traditional employer-sponsored health benefits, allowing companies to reimburse employees for individual health insurance. Employers use a Premium Reimbursement Administration Software like PeopleKeep to stay compliant, and to make administration easy. The Premium Reimbursement Administration Software should allow you to give employees allowances monthly or at any time on an exception basis—with automatic monitoring of HIPAA and ERISA discrimination compliance rules. Deferred allowances (a waiting period) should be possible for new hires, and suspended allowances should be allowed for former employees that employers hope to re-hire on a seasonal basis. The Premium Reimbursement Software Administration provider should process requests within 24 hours and employees should be able to inquire about their request via online chat, email, fax, mail, or telephone. No request should be rejected for improper or incomplete submission without multiple contacts. All employee contact should leave clear audit trails and meet appropriate regulatory guidelines (e.g. ACA, IRS, HIPAA, ERISA, and SAS 70). Look for software that provides “real-time” tracking of requests, available online 24/7. Employees should receive email notification when their request is approved and again confirming when (and how) it is reimbursed. Reimbursement should be administered individually or on a periodic batch basis via check, payroll addition, or direct deposit leaving a clear and permanently-available audit trail. Employers should be able to completely set up and/or change both their premium reimbursement Health Plan and their Plan Documents simultaneously online. Premium Reimbursement Software should automatically provide the employer’s health insurance broker a CRM (Customer Relationship Manager) to best serve their employees—including automatic notification to the broker when an employee’s premium reimbursement plan status changes due to family additions, promotions, etc. 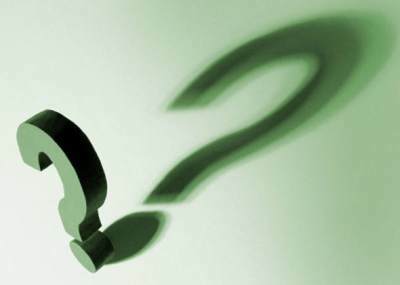 This section answers frequently asked questions (FAQs) about Premium Reimbursement Arrangements. A Premium Reimbursement Arrangement allows companies to reimburse employees for individual health insurance premiums, as an alternative to group health insurance. How does a Premium Reimbursement Arrangement work? How is a Premium Reimbursement Arrangement Structured? A tax-preferred Premium Reimbursement Arrangement is a Section 105 Self-insured Medical Reimbursement Plan. It is structured to reimburse employees for health insurance premiums up to a specified monthly healthcare allowance, and basic preventive health services as required by Public Health Services (“PHS”) Act Section 2713. How much time does it take the company to administer a Premium Reimbursement Arrangement? With the right Administration Software, a Premium Reimbursement Arrangement takes less than 5 minutes per month to administer online. Companies use the software to add approved reimbursements to payroll. There are no time-consuming annual renewals, and employees maintain a direct relationship with the insurance company of their choice. How does a Premium Reimbursement Arrangement work for employees? Is a Premium Reimbursement Arrangement health insurance? No. A tax-preferred Premium Reimbursement Arrangement is not health insurance. It is a Self-insured Medical Reimbursement Plan, allowed by Section 105 of the IRS code. What type of healthcare expenses are reimbursable through a Premium Reimbursement Arrangement? Healthcare expenses that may be reimbursed through a Premium Reimbursement Arrangement include qualified health insurance premiums and basic preventive health services. Is there a minimum or maximum number of participants that must enroll in a Premium Reimbursement Arrangement? No. Companies of all sizes can use Premium Reimbursement Arrangements. Additionally, there are no required minimum participation requirements, and the company determines the eligibility requirements during implementation. Do you have additional questions? Contact us. We’d be happy to help. A health reimbursement arrangement (HRA) is an IRS-approved, employer-funded, account-based health benefit used to reimburse employees for out-of-pocket medical expenses and personal health insurance premiums. Read more. Employers can provide reimbursement for premiums, however they should set up a formal plan and be aware of the do's and don'ts. We'll cover this and other best practices for Premium Reimbursement. >> Read more. As small and medium sized employers evaluate health benefits, they consider two main approaches: group health insurance or reimburse employees for individual health insurance (aka premium reimbursement). One of the key decision-making factors is cost. This article outlines five steps to calculate the cost savings of group health insurance vs. premium reimbursement. >> Read more. Why Use Premium Reimbursement Software? Using Premium Reimbursement Software helps employers with the administrative tasks of the premium reimbursement plan and ensures compliance. >> Read more. As businesses transition to premium reimbursement plans, it is important to understand the four key Internal Revenue Code (IRC) sections that allow for tax-preferred premium reimbursement. >> Read more.